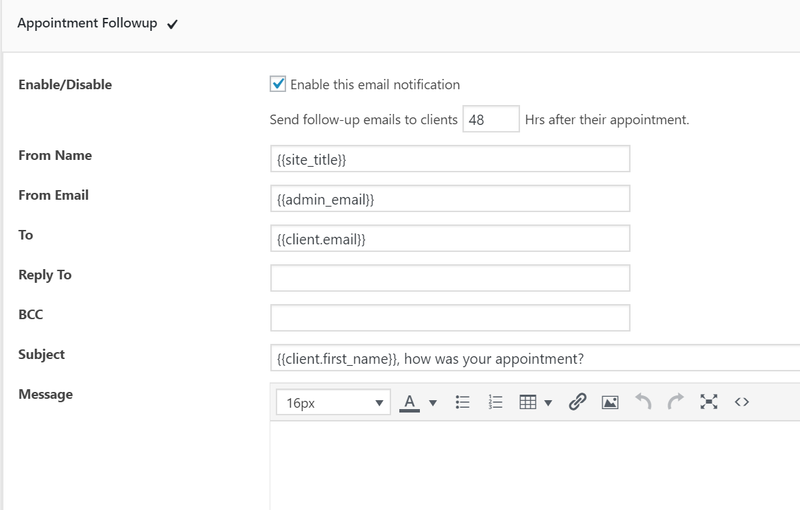 Under WP Admin > BookingRobin > Settings > Emails > Notification to Clients section, enable Followup Emails. You can define how many days after appointments, followup emails will be sent to clients. Check this article for more details on all available tags.